I’m going to show you how to make flowers from used dryer sheets. These flowers, once transformed, look like they are made out of tulle or a very sheer fabric. 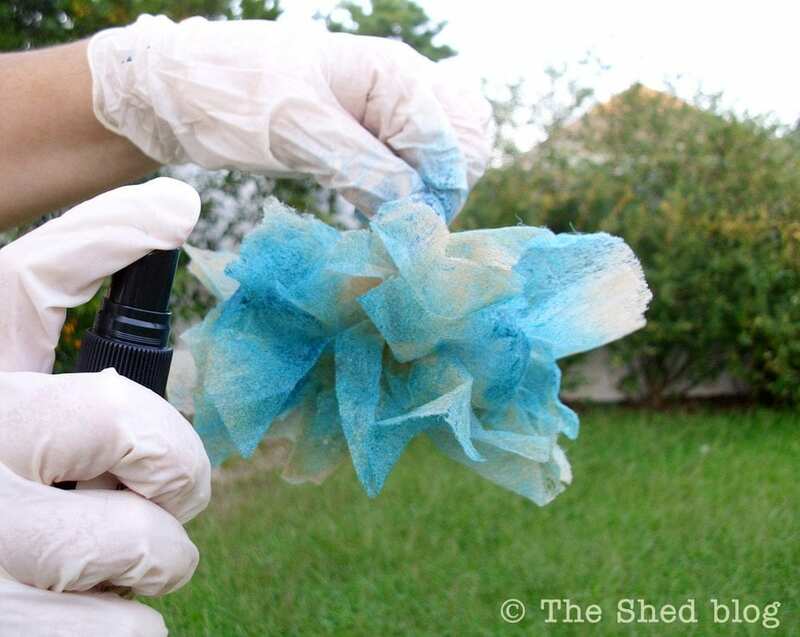 I’m going to tea-stain the dryer sheets first, and then after making them into the flower shapes, I will dye them with spray ink dyes and top them off with some glimmery goodness. 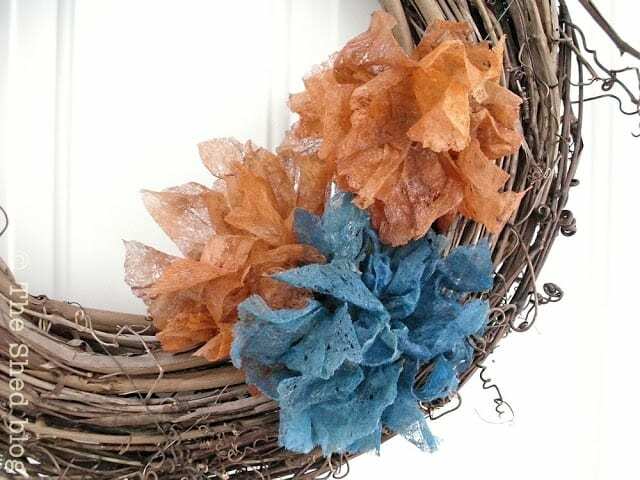 After I dry the flowers with a heat tool, I’ll have lovely shabby-styled flowers. 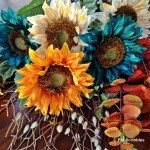 I first showed you this style of flower when I added it to my mini faux pallet art piece that I shared here last month. I made a small flower for that project, after reading several tutorials and seeing this helpful video. Since that project, I’ve made a few more flowers and definitely am drawn to making them in a larger size. 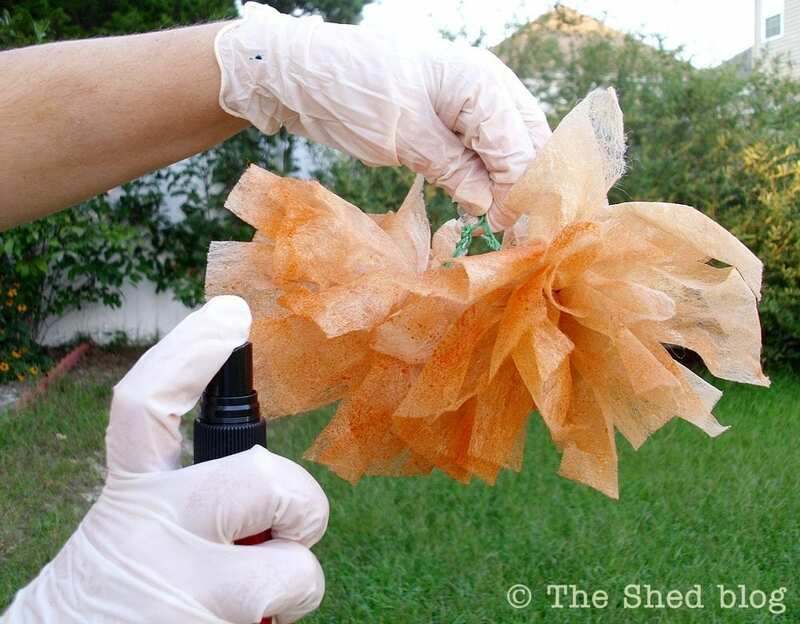 Using full-sized dryer sheets means I can make big, bold flowers perfect to stick here and there as decorations in our home. 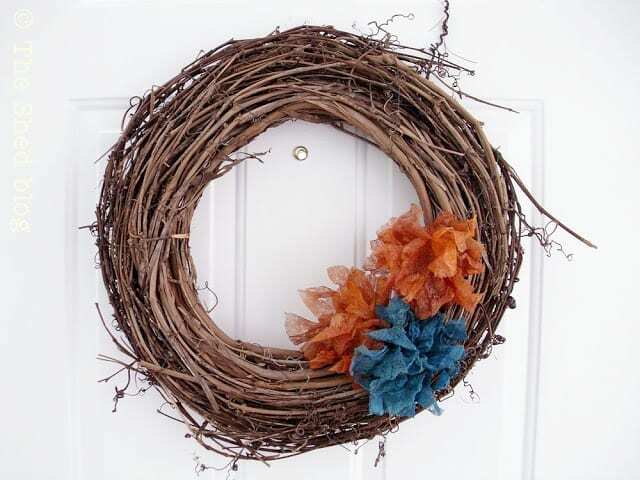 We’ve had a grapevine wreath on the inside of our front door for quite some time now. I loved the simplicity of it, but wanted to give it a touch of Autumn. 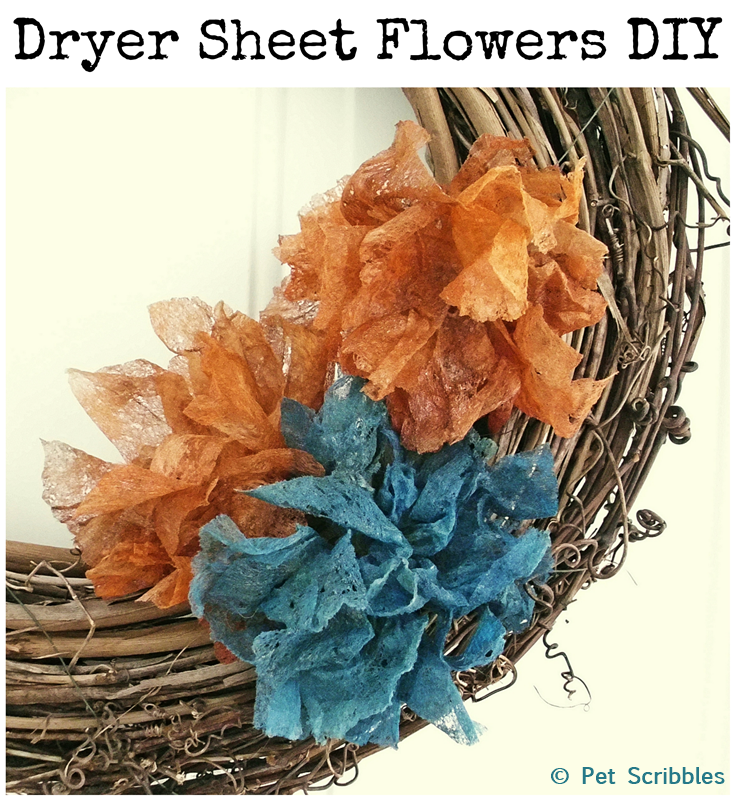 These dryer sheet flowers ended up being the perfect addition! Step 1. Do some laundry. Yes, now laundry becomes fun, doesn’t it? You have a purpose beyond simply insuring there are clean clothes. 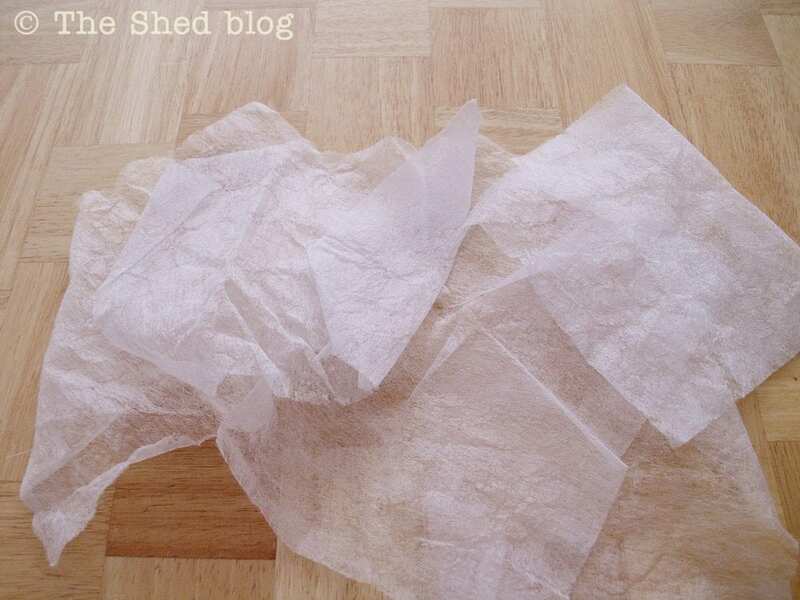 Now you are beginning to hoard to start your collection of used dryer sheets. Step 4. 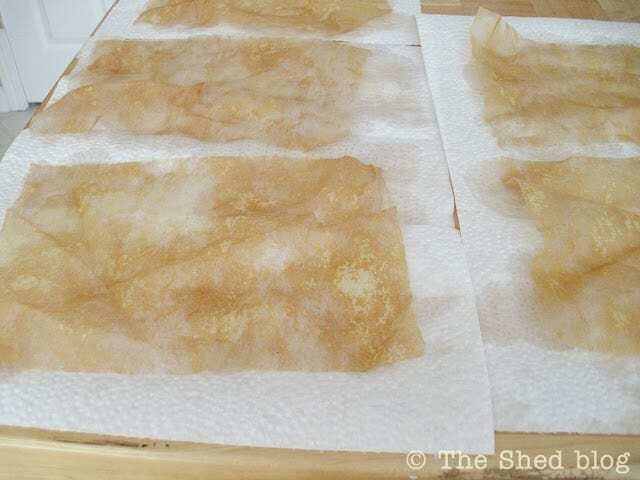 Let the dryer sheets sit in the tea bath for about 10 minutes. 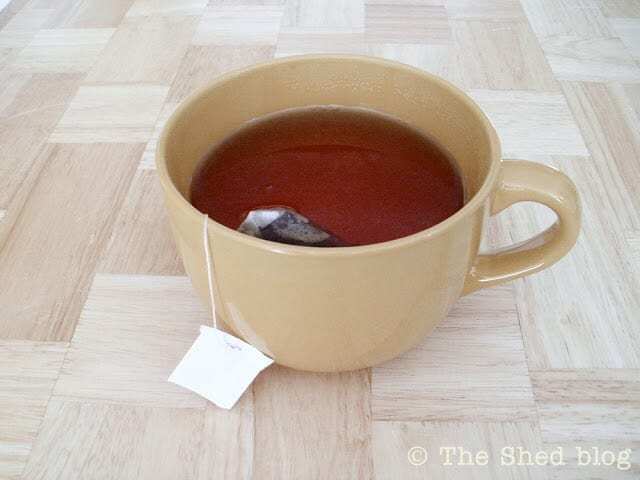 Keep in mind that these sheets are delicate, so use a spoon to gently lift them out of the tea bath one at a time. Place each one on a paper towel to dry. 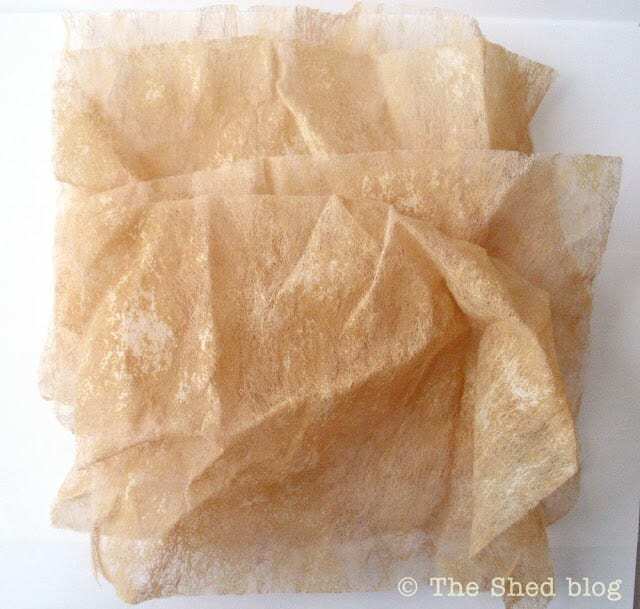 You’ll notice how textured the dryer sheets now look, with the tea staining some parts more than others. 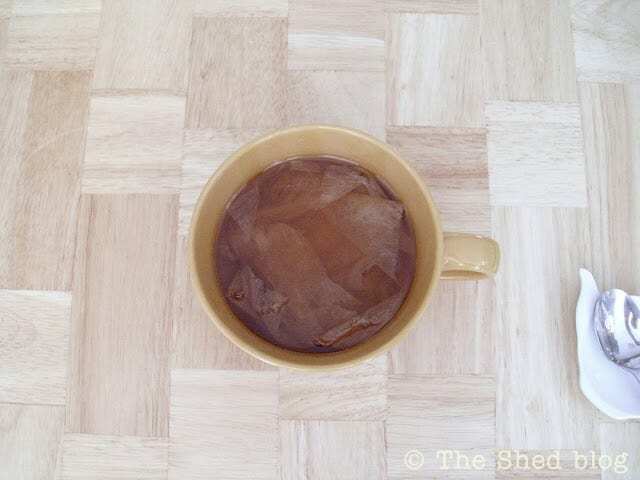 For a truly shabby look, you could use this (the tea stain) as your finished color of the flowers. So many decorating possibilities! Step 6. 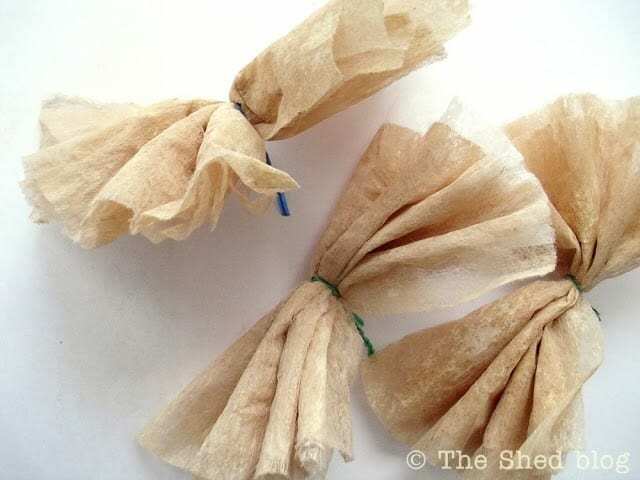 Take three dryer sheets, place them on top of each other as lined up as you can make them, and begin folding them back-and-forth in an accordion type of fold. Step 8. 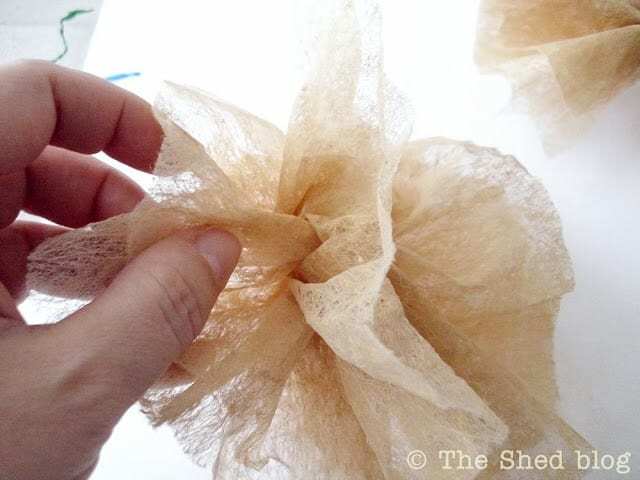 Gently pull the layers apart, shaping the cinched-together dryer sheets into more of a flower shape. Step 9. Read this entire step first before proceeding so nothing gets messed up. 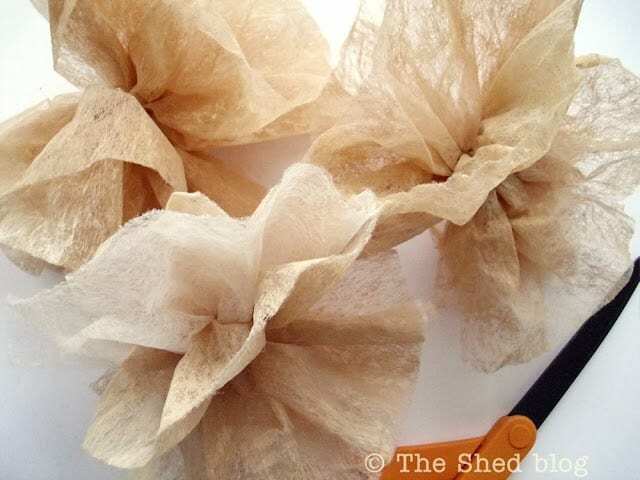 Next, you need to cut some slits into each layer of the flower using scissors. Each slit needs to only extend approximately half-way down toward the center of the flower. I alternate between making 2 slits and making 3 slits per layer, as it makes the flower fuller. Start with the bottom layer, and cut your slits “sort of” evenly spaced apart. You don’t need to be exact with your spacing, just eyeball (did I just make another verb?) it. Step 10. 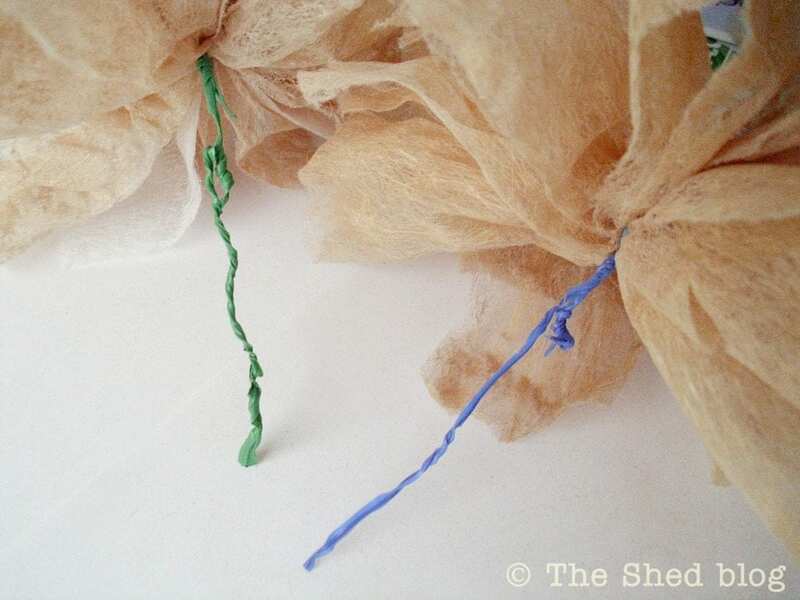 Take another wire twisty-tie and attach it to the flower’s twisty-tie. This makes a longer stem for you to hold while you are dying the flowers. 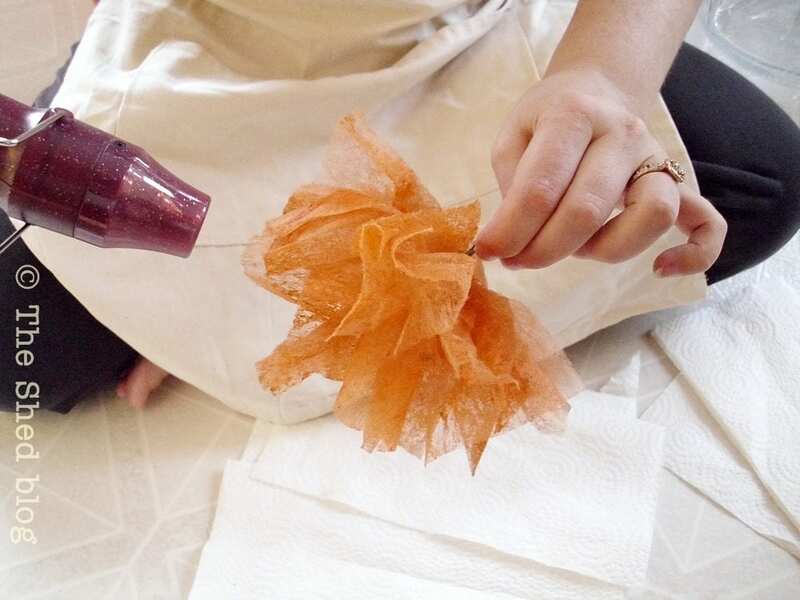 Note: I use rubber gloves when I do this step, as the dye stains pretty effectively. (And that’s what you want in a dye, so I view it as a good thing!) But no worries, if you get dye on your hands, use a baby wipe to get most of it off. The rest will come off in the shower easily. You can also wash your hands repeatedly like a woman possessed. Step 12. 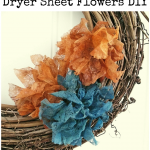 Dry each flower with a heat tool, which also sets the dye in each flower. What is fun about the heat tool, is that it will curl the flower “petals” a bit so that right before your eyes your flower starts looking like a real flower blossom. Keep your heat tool constantly moving so that you don’t singe or burn the dryer sheets. This step is trial-and-error, and after you do just one flower you will have the hang of it. If you accidentally singe or burn part of the flower, you can simply cut that off. 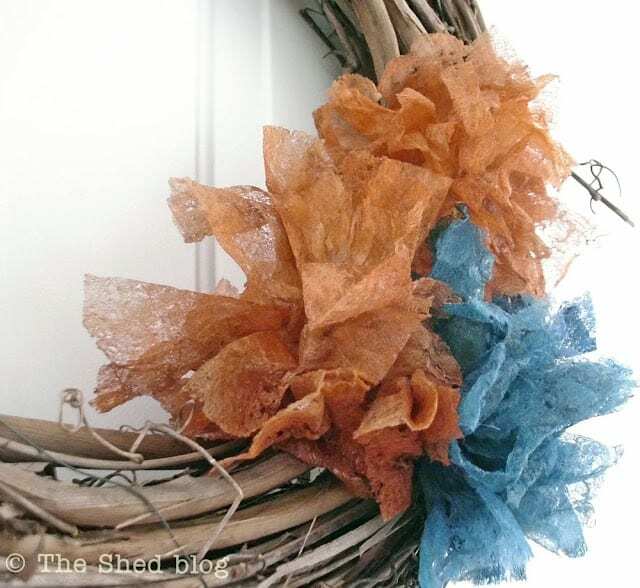 But I like that look, I think it adds to the shabby-style, so I always keep my singed edges. In fact, I singe parts of my flowers on purpose. Step 13. Repeat the heat tool step for each flower. I actually spend quite some time on this step, repeatedly picking up each flower and “heating” several times. 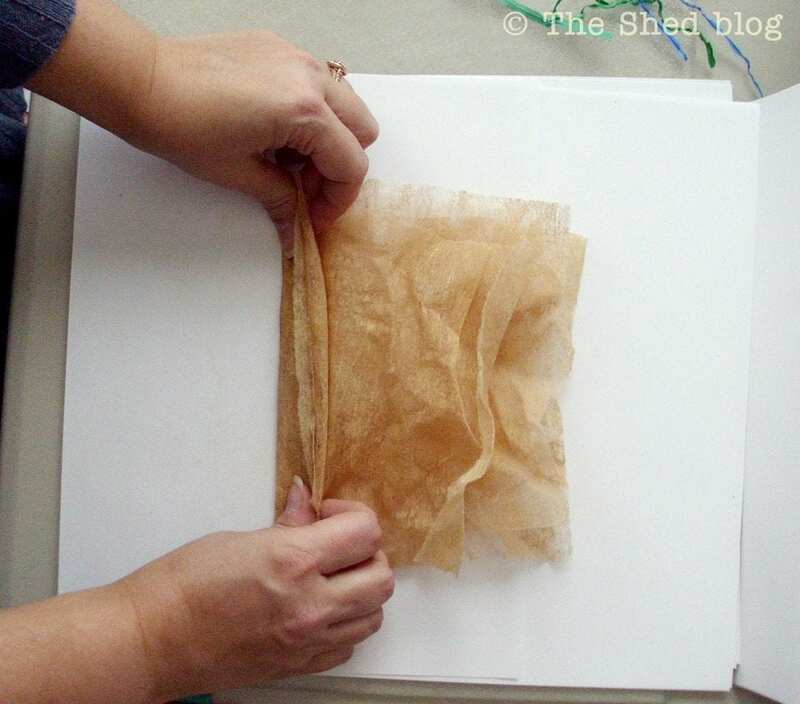 Again, you will know when you’re finished with this step: it is as simple as stopping when you like how it looks. Step 14. You could stop there and have beautifully dyed flowers. 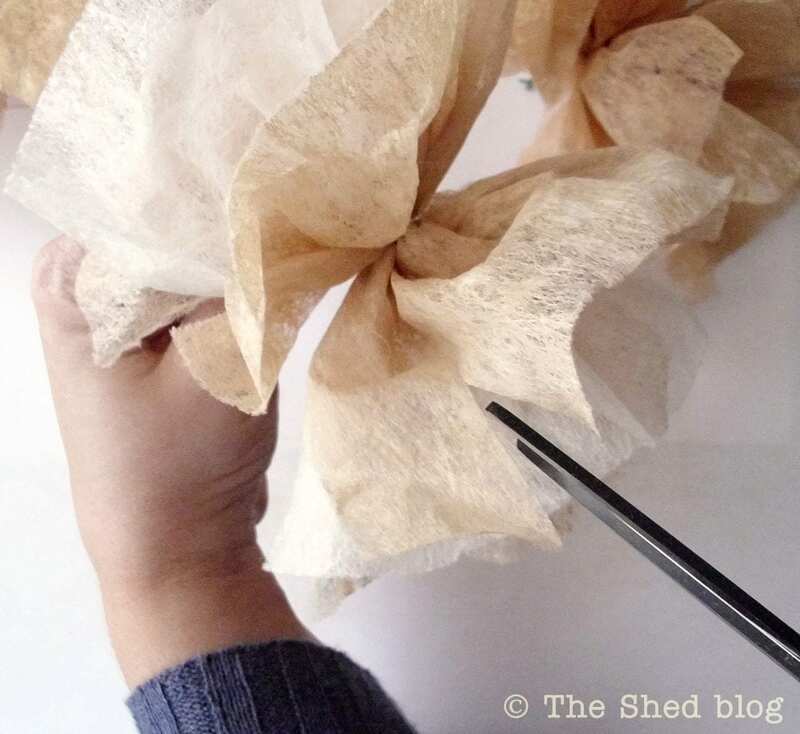 Just use your hands to continue crinkling, teasing, fluffing and arranging the petals until you love how they look. 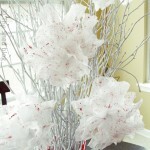 Several of these in a vase are a stunning focal point in a room. I embellished my flowers a bit more by spraying Perfect Pearls Mists in both “heirloom gold” and “perfect pearl” onto various sections of each flower. These mists are fantastic for giving either a soft and pretty sheen (using a few light sprays) or adding lots of shiny shimmer (using several coats close up). I just gave a few light spritzes onto each flower. And I played with the heat tool a bit more, just to make the flowers even shabbier in style. 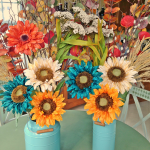 The aqua/teal flower is the accent color we have in our great room, and the orange flowers are a tribute to Autumn. I’m looking forward to doing more laundry collecting more dryer sheets to make more flowers in this color combination. I like that I can display these from now all the way through Thanksgiving. When my husband saw me tea-staining all of the dryer sheets, I jokingly mentioned how it makes me love doing laundry knowing I can use the dryer sheets to make flowers. Dear Sister, you had me at periwinkle crayon! 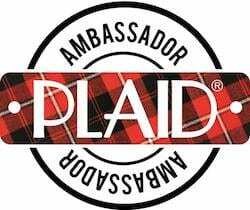 😉 Thanks for the compliments and I look fwd to seeing your flowers on your blog too! I love these, so clever and crafty! Laura, I LOVE the way these look! Great job!! That is hilarious! It sounds like something my Hubs would say too! Love the wreath and the flowers look great! Pinned & tweeted. Hah! Sounds like our husbands share similar senses of humor…especially when it comes to our DIY projects! Thanks for sharing my flowers w/ your followers! Thanks so much Bonnie and Trish! What a great idea! Love the colour that you dyed them. Great job. Thank you Angie! The Glimmer Mist dyes are really rich and vibrant! How pretty and simple!! I LOVE the final look! I am going to have to start thinking about what to do for my fall decor…. you may have just helped me!! Thanks for the inspiration! Awww, thanks so much Jaime Lyn! 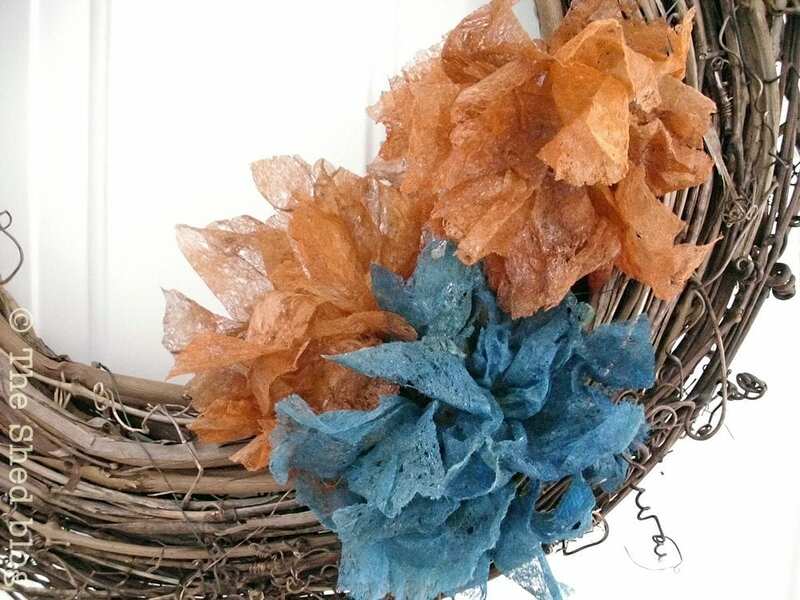 Let me know if you make some of these flowers! I’m getting ready to make more…that is, getting ready to do more laundry. Hah! these are so flippin’ fabulous! Thank you! loved your post. Do ya HAVE to do laundry first? Could ya use them to make flowers straight from the box, since they smell so pretty! 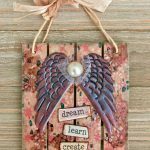 This is such a fantastic tutorial! Visiting from the Vspot. Pinning this and trying soon. I have tons of dryer sheets in my trash in my laundry room! Love your wreath and the beautiful fall colors of your flowers… I pinned this too, they aren’t just for laundry anymore… I found you through the Answer is Chocolate Link Party where I have the following projects linked; Spooky Halloween Card and Subway Art Printable, would love it if you’d stop by too. I just love this Laura! I will be featuring it when my link party opens up tonight. 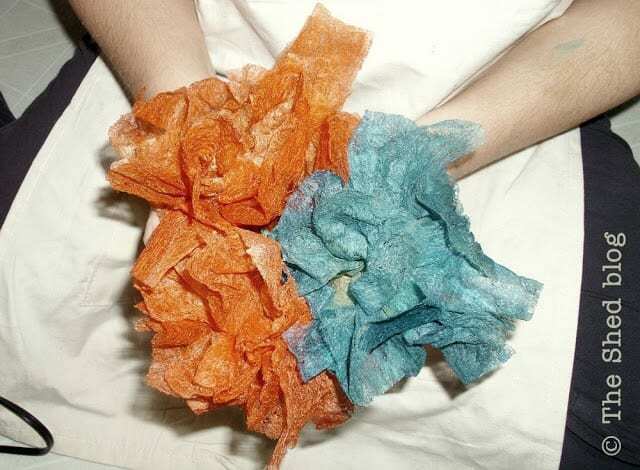 Cannot wait to play with some dryer sheets. Girl, you made my night! 🙂 Thanks so much and definitely can’t wait to see some flowers from you! As I’ve previously commented, love these flowers! 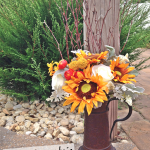 I stopped by to let you know I’ve pinned your project and included it in my Thank You post. 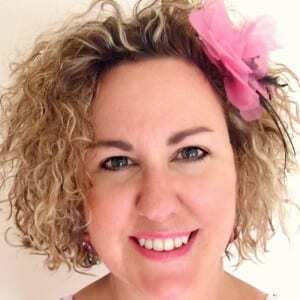 Oh wow Amanda – I am SO glad you posted this here, as I would have NEVER seen it otherwise! First off – I can’t stand how Facebook doesn’t notify us when we’re tagged on another page, and secondly – I also can’t stand that pages I like – like yours – don’t regularly come up in my feed. Thank you SO much! I’m thrilled your readers like this project!